Florida Gov. 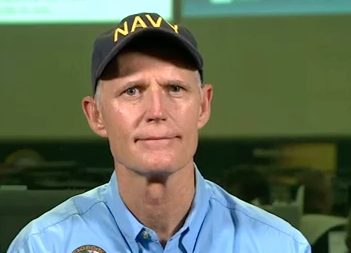 Rick Scott says main concern after Hurricane Michael is "search and rescue"
Florida Governor Rick Scott says that his main focus a day after the devastation left in Hurricane Michael's wake is "search and rescue" in the Florida panhandle. The storm, which made landfall Wednesday afternoon, has been downgraded to a tropical storm but is being blamed for at least two deaths. "We spent all night doing search and rescue, we're going to spend all day doing search and rescue. We've got a massive flow of people going down to coast to try to be helpful," Scott told CBSN's Vladimir Duthiers and Meg Oliver on Thursday. He added, "Right now I'm focused on search and rescue," he said. "We'll get to recovery, but right now I want everybody to be safe." Scott has called up 3,500 members of the National Guard, and over 1,000 rescue workers from around the country are assisting in the effort. Scott explained that the part of the state hit hardest is "very woody," so residents are likely to see downed trees and power lines in the aftermath of the hurricane. Over the next two days, he said the state will be better able to estimate how long it will take to restore electricity to residents currently without power. "I talked to the president yesterday and he said, 'Whatever resources you need, I'll get them to you,' and that's the exact conversation I had with Brock Long this morning, so it almost seems like every federal agency is down here," said Scott.